Utah’s largest homebuilder has gone to court in hope of blocking any public vote this fall on its proposed high-density residential and retail development at the former Cottonwood Mall site in Holladay. A subsidiary of Ivory Homes Ltd. says the company’s legal and financial stakes in the $560 million project are substantial enough to justify it intervening in an emerging court fight between the city and residents opposed to the development dubbed Holladay Quarter. Lawyers for Ivory Development have filed to dismiss or expedite to the Utah Supreme Court a lawsuit brought against the city by residents Paul Baker and Stephen Stuart. The company also sued to prevent Holladay Recorder Stephanie Carlson from certifying or permitting any ballot measure. 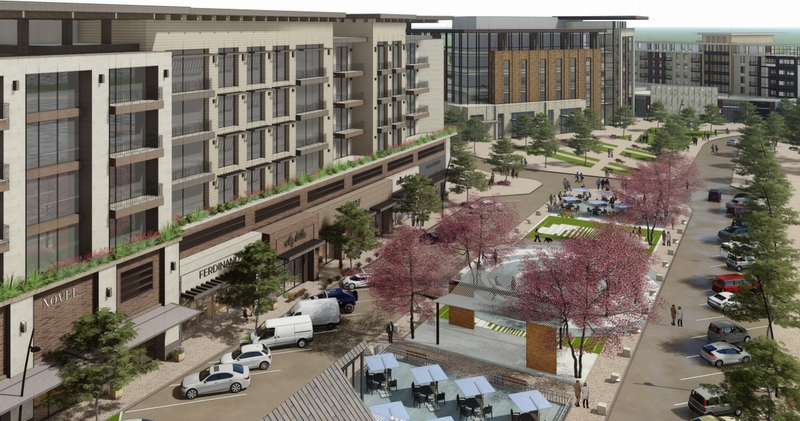 Ivory and partner Woodbury Corp. won city approval in May to build the mixed-use complex of retail outlets, eateries and office space combined with 775 apartments and 210 single-family homes at the former mall site, which has sat vacant since 2008. Residents objected to the plan they say is too dense for the area and was approved through a faulty city process. Members of Unite for Holladay circulated petitions pressing for a citywide vote on the City Council decisions that cleared the 57-acre project. Baker and Stuart, both members of Unite for Holladay, filed a complaint in 3rd District Court last week, after the city turned away their petition. Although it probably had enough valid signatures to win a ballot spot, city officials rejected the petition on legal grounds — but they also scheduled a special election for Nov. 6 in case their arguments don’t hold up before a judge. The main legal dispute between the city and Unite for Holladay focuses on whether those key City Council zoning decisions amounted to crafting new city policy at the time or simply interpreting rules already on the books. Unite for Holladay says the city’s votes on zoning and a site development master plan were “legislative” in nature — and subject to public review at the ballot box under Utah law. City officials say their approval was “administrative” and based on existing zoning and other city ordinances, thus ineligible to be second-guessed in a referendum. That, the company said in filings, does not include $250,000 Ivory has paid to the Cottonwood Mall site owners as a nonrefundable deposit to secure Ivory’s right to buy the land, nor $270,000 in other expenses for Woodbury.